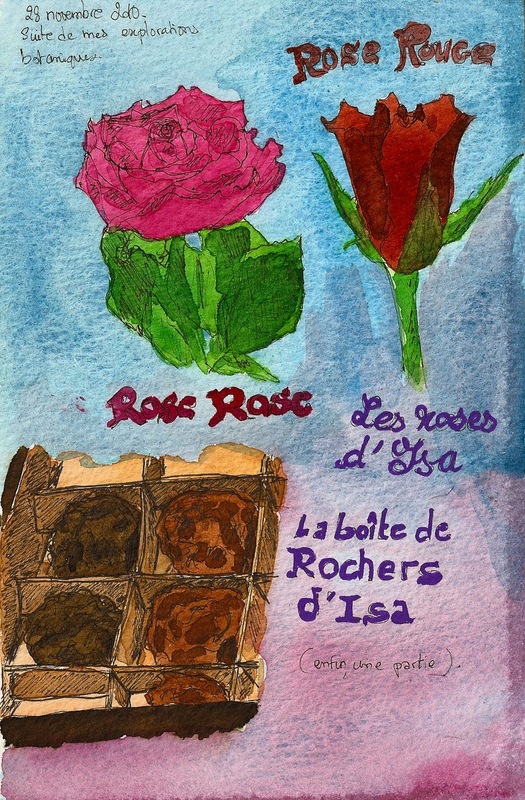 kazumiwannabe: Roses, chocolates, John Wayne, and an Advent subject. Roses, chocolates, John Wayne, and an Advent subject. New page, new flowers! A friend offered me the roses and the chocolates (yes, the brown things below the flowers are chocolates in a box). I had to draw fast because the chocolates didn't last long. The roses are doing better! 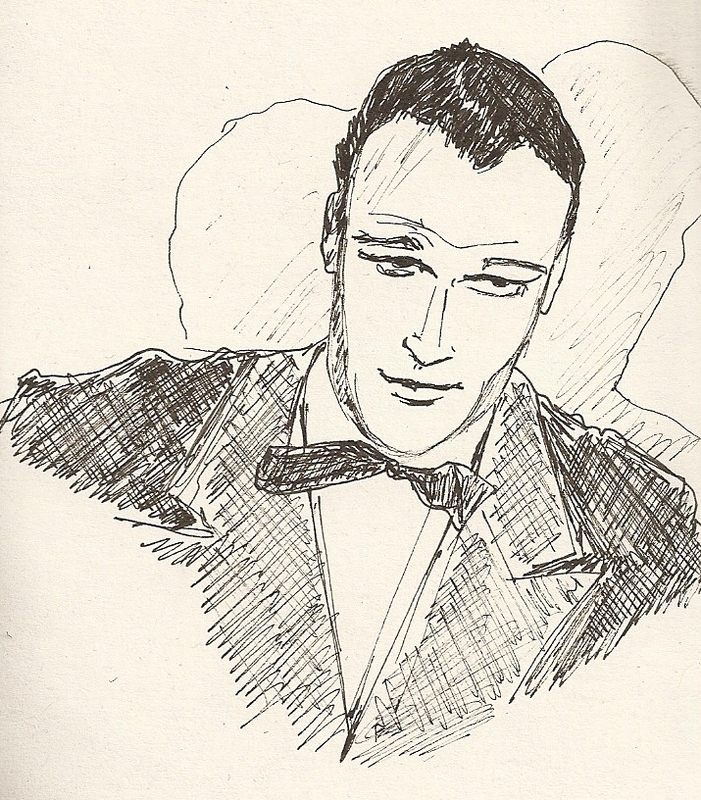 And a portrait of John Wayne from a photo I found on The Impossible Cool . And this an Advent calendar I made for my daughter. All the little cases are open and I put sweets, chocolate, and little fun things in them! She loves having her little surprise every day. I made it with card board, scrapbook papers, a few pens, tape, glue, and a rainy afternoon (we've got a lot of those, that's why I'm able to update the blog so much...). It's raining again, my work is all done and I'm drawing like a mad woman, so expect a new blog post very soon! That's definately a problem drawing chocolate, great sketches! What a sweet Advent calendar, and its all the more special because its homemade, just for your daughter. Your gifts look lovely and what a great portrait of John Wayne, he looks very debonair! Wonderful painting and I think I recognize the photo your portrait of John Wayne came from! Love the advent calendar. Sorry you're having so much bad weather, but very glad it is giving you time to create!! Nice sketches! I would've known that was John Wayne even if you hadn't said anything. You captured his likeness perfectly.